An alternative to traditional Tube and Fitting scaffolding, system scaffolding uses pre-measured components with fast locking mechanisms, making it ideal for speedy erection. 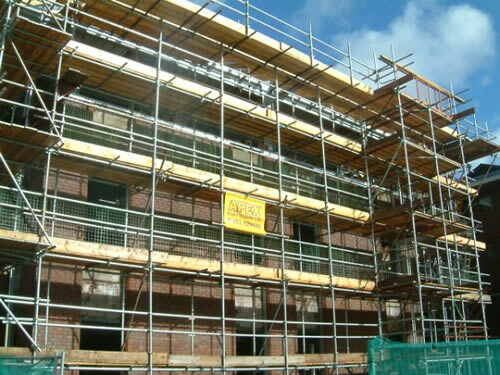 Apex Scaffolding aim to keep up with the latest industry trends and currently use Van Thiel modular scaffolding. St Mary's School, Blackpool - Scaffolding for major re-roofing project for the entire school. Islamic Seminary, Bradford - New build of a steel frame building. To enquire about our system scaffolding, please email or give us a call.